This page is for discussion of the artistic side of content creation, such as writing and characterization, as well as for the posting of incomplete content for the purpose of receiving feedback from each other. Feel free to discuss characters and stories you are working on. The old Custom Content thread can be found here. The first archived artistic discussion thread can be found here. And the day has come!^^ New thread, new life. Use the link above to access the old thread. Enjoy! :3 Overseer off. Showroom post updated! Now 300% more fancy! Matsumori High is said to be two hours away from the player's town in Fran's route, and the real school(yes, there is one) is in Southern Tohoku. Also, Akari's pet Moses most probably a Tohoku salamander, on the grounds of symbolism, which Akari, being the Soul type, would make use of. And getting salamanders out of their natural habitat's climate when it can't live in your room(he sure as hell can't, it has zero sunlight and no conditioning;the bills on maintaining him would be insane) is not a good idea. I would say the game takes place in Iwate, or Akita prefecture, both of which have two isolated towns each, that I know of, with only one High school with access to train which leads to a larger beachside settlement in short enough order that travelling by it doesn't significantly affect the player's time. 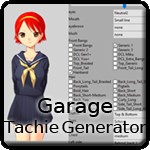 - Garage Tachie Generator: Create your characters without the need of photoshop-alikes! 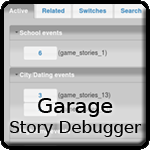 - Garage Story Debugger: Too many events to keep track? This debugger may be just what you need. - DarkComet's set: Previous set of tachie parts, by KevinCalanor, used along with Garage's tachie generator. 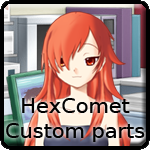 - HexComet's set: Latest set of tachie parts by KevinCalanor, includes all DC parts plus some. - SOSC Pack: 64 backgrounds, plus 13 CGs for reference use, Extracted from Shira Oka Second chances. - HTC Reworked Backgrounds: The backgrounds you already know, with replaced posters. Note: Not all parts used on routes/posts are available for download for a variety of reasons. Anyhow, feel free to ask for a custom part you miss up on this thread. This section will track betas from some of in progress routes, keep in mind that it will not always have the latest versions. It's mostly to keep the routes that dissapeared in the big amount of posts visible. 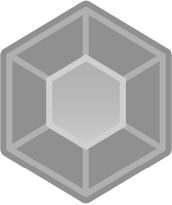 The links will lead you to the post where the referring character download is, so the post may or may not contain useful information about the character linked. This post is no longer being updated regularly, therefore it does not feature all betas and utility available. Please check more recent pages for the latest content. I'd think it would be better if the class chart was on the top-body portion of this thread. That's just me talking, though. *Edit: That wasn't the positioning I was thinking of, but, okay. FOR NOW. Checking one of the things cited on the feedback. She's very dynamic in a reeaaaally weird way when you talk to her on the phone. Mostly because she's all like "Video games, kittys, yeah!" That was exaggeration, but that's what I remembered from it. Now this isn't a bad thing, however it's odd and rare. She was meant to be strict and direct at the phone due the fact that she dislike using them, for anything except as a music player. I've made a new call prototype, sounds very near the other, but I've with increased uneasy factor. Also trying to give some important leads to the <player>. You knew that was me? Weeell.. My phone may be old, by it still show who is calling me. Not much, and with you? Same old... Playing a little before go to training. You know, I left the martial arts club, so I have to train by myself. It's not as efficient as training with them but still... better than nothing. You were on the martial arts club last year? I'm sure that Nemoto passed me by now. Our matches always were tight. #Nearly changing Yuriko's sister for some 2-B student member of the Martial arts club, Yuriko's route (due Eliza) is quoting Mayu soo many times that is starting to sound like "HEY!! Look at that! I can do cameos!!". #Sorry <player> but this would be a spoiler. <b>What the? !</b> you can't just send Tenryuu out of formation like that!! Bring your ships back home safely. Edit: Another Cannonballing mad idea removed. Edit @13:41 : Multirouting prototype code ID-7405. #These conditions basically means that Riho rested in your shouder when waling back home, while having a considerable high progress with Eliza. Oh, hello Eliza, how you're doing? Terribly annoyed and with a serious desire to punch someone. Oh, It's very fortunate you asked. Someone think I'm blind, deaf and have some considerable brain damage. So this particular person is trying to backstab me and mine friend. That were resting her head on you shoulder a few days ago! You both kissed after that didn't you? Riho is behaving exceptionally strange lately. To you pretend that nothing happened and date me and her again as much you like to? So you can brag to your friends how you can play us as toys! You can stand as the big guy saying "Look, I'm double dating two tsunderes! I'm the manlier guy in whole school!" "I can deceive, and stockpile them up, to date one each day of the week." Who would get upset about it? No one can stand girls like us. You'd be considered a hero! You know, Riho's head may be too thick to reality find a way in. But let I tell you one small thing. Can you at least what I have to say?! I can't. I don't want, and I'll beat the hell out of you if you try to force me. So just get out of my way, and don't ever appear again. Hear Riho commending you mindlessly is painfully enough to anyone with some sense. Oh! Hey, Eliza! How you're doing? Terribly annoyed with a serious desire to punch someone. # This is the kind of "weather forecast" somebody like Mayu could spout, if she was more of a wise-cracker. Apparently, someone thinks I'm blind, deaf, and have some considerable brain damage. This particular person is trying to backstab me and my friend. Perhaps I should tell you her name? Oh, why not. Kaneshiro Riho. You know. That red-haired girl. I saw her resting her head on your shoulder a few days ago. You probably have kissed her after that! Even if you didn't, she's been behaving really strange lately! So that you can pretend that nothing happened, and date us both as much you like? Yeah! Why not? We should hang out the three of us at once. Then, you can brag to your friends how you can play us as toys! You can stand up, saying "Look! I'm double-dating two girls! I'm the manliest guy in whole school!" "I can deceive 'em, stockpile 'em up, date one each day of the week." That's what you'd like to hear, right? Riho's head may be too thick to detect something like this. But, let I tell you one small thing. # ...since, now, it's being set to a specific level. Can you at least hear what I have to say? I don't want to hear it, and I'll likely beat the hell out of you if you try and keep yapping. Just get out of my way, and don't ever try to talk to me again. Hearing Riho commending you mindlessly is painful enough. I'd have the player say or think more in the above event. Custom content creators have a tendency to forget the Player's aboundant inner monologues that helps the pacing. You wouldn't stand there, blank and thoughtless when someone is in the process of dumping you. Silently staring at what's going on doesn't work for drama unless it's justified; To listen to a character rant at you without any sort of reaction (even 'I froze in place from shock' or dot-dot-dot is better than nothing) takes away from gameplay - you have no one to associate yourself or symphatize with. Though, to be honest, the second suggestion feels more "Marrend" than "<player>". Custom content creators have a tendency to forget the Player's aboundant inner monologues that helps the pacing. You wouldn't stand there, blank and thoughtless when someone is in the process of dumping you. Oh lel, Marrend told something like that about the event I passed him by MP too. Seems serious, it's a classmate of yours? It's serious, and the guy in question keeps thinking that I don't know anything about it by the way. ...That was resting her head on your shoulder a few days ago! You probably have kissed her after that! Even if you didn't, she's been behaving really strange lately. #"Can you stop a little, and hear what I have to say?" Now you can at least try to hear what I have to say? #Again the event 49, which means that you've ignored all abort flags. #Event 40 is the one when player succeed the Masashi's challenge at the Hot springs. #Now seriously, do this while dating Eliza? <player> is begging for a beating. What the <b>heck</b> are you doing?! You really thought that you would get away with jumping into the girl's section? Look, I don't give a damn if those bum's found it fun or whatsoever. You know why I'm doing this scene? Don't worry, I'll tell you why. I've haven't asked you anything, did I? So, <i>shut up</i> and listen! Alessa heard Shihoko and the girls exiting the when she entered there. Last, the sea spirits of crossover told me that Eliza could use a glove at the right hand to enhance her "trouble-seeker" side. As everyone known as a trouble-maker, ganster or whatsover have a "trademark" like Erik from VC2 or Johnny toothpick. That's the OTHER2 tachie btw. It's kind of cool when you think that have the Index middle and thumb fingers bare, let's you write normally and stuff while using the glove. Well, I've found it cool. Now that I'm at a good stopping point with Okiku, I can get back to work on Emiko! What was I doing with her again? Oh. Riiiight. Message: Okay, I give up. Message: Who are you, and where should I know you from? Message: We were, um, supposed to meet here for a multiplayer game? ...but I dunno. Could there be a better name for him? Ferdinand sounds fine to me. The idea of <player> using a alternate name as his Nick is interesting, maybe 'cause I do the same thing. Ferdinand sounds good enough, but there should be a reason for the <player> picking the name. The name means protection, courage, bravery, etc. It could be the meaning he likes, or maybe he just likes the sound. Perhaps an old friend had nicknamed him that since childhood. I dunno either. Speaking of gamer girls, if Oracle_Askigaga plays online multiplayer games, than she surely would know of Nimbostratus..
Oh, wow. It's been a while! .-. Nonetheless though, from what I've read from Eliza's story, they would make good friends. 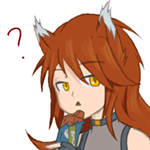 It's a shame that Alessa isn't being routed though. Perhaps you could make a story where he doesn't know what to name his character. Emiko could possibly suggest the name. make Makoto a character that doesn't require clean mode on. She'll have a route someday, but I'll give preference to Yuriko's due the lower complexity, well that's almost the same thing. The end of the co-work change completely Alessa's route, they're very caring about each other and as said on Eliza's route our LightWolf already have a piece of misfortune with lovelife. When Eliza find out that these two are hanging out, she'll very likely throw <player> on a minefield, not a literal one I hope, to test if he's worthy. Any major failure will cause the ShadowWolf to stalk him down until it gets evidence enough to kick the guy away from her sister. Probably literally. Don't even think about double dating. - Writing at least three variants of most events, due Eliza's influence. - Fine-tune to don't make Eliza look like a Yandere towards Alessa. It worries me if the PC will have enough girls on the game tough, to the game flow well he'll need at least 4 built-in sized routes running. Otherwise the game will be more random encounters than story. Nimbostratus, Oracle_Askigaga, ShadowWolf7 and Ferdinand! Message: I have to ask. Message: Whatever possessed you to decide on that name? Message: When I was younger, complete strangers came up to me and called me that. Message: totally out of the blue. Message: It was weird, but I guess it stuck with me all these years. # Actually, this is a reference to the name <player> had in Story Test mode mode before it became Kazuhiko. Message: Yeah, that DOES sound weird! *Edit: There's weirder reasons for on-line names, right? Fair enough, some guys have a "Bob" face, others look more "John Smith", why not someone looking Ferdinandish? Someone is Ferdinandish when he look alike Franz Ferdinand? And... I have to ask, what's behind Emiko's nickname? Edit: There's weirder reasons for on-line names, right? Lol, I thought about it for Yuriko's route, but avoided specifying built-in support chars. As council member she often will have to talk over problematic students. Anyone got ideas of how they should look? In-route, it's one of the characters she's made. With a certain option, <player> makes some choice commentary about said character. The commentary within that STORY expresses her frustrations about the character, though they also express my own frustrations with Emiko's route before the re-write. The other reference this makes is the floating-in-my-head-somewhere idea that is Oracle of Askigaga. Though, that information is in her profile, should one choose to look. # Set up the date with Emiko. Message: Okay, I give up. Message: Who are you, and where should I know you from? # Her theme kicks in, as this is, technically, an apperance. Message: I'm <player>. Message: We were, um, supposed to meet here for a multiplayer game? Message: I have to ask. Message: Whatever possessed you to decide on that name? Message: Funny story, that. Message: When I was younger, complete strangers came up to me and called me that. Message: It was, like                                                                              Message: totally out of the blue. Message: It was weird, but I guess it stuck with me all these years. I honesty didn't think that the fact that the font wasn't mono-spaced would be as much of a factor as it was for this scene. Too-long-didn't-read version: If you need to force multiple lines in the same textbox for whatever reason, type it out normally, with a temporary/test STORY. In Story Test Mode, see which characters are on the next line (if any), and try to base your spacing on that. *Edit: Ughhh! Sorry for the page-breaking on this post! @Ertad: It's "40 letters". Or "40 characters on a line". Anyway, I'm totally going to be using the fact that I have a copy of RPG Maker XP, and an empty project. I've since cleaned up the scene, having the minimum amount of white space that is necessary for this word-wrap technique. The way some of the lines are written would make an English teacher cry, but this is chat-room conversation. It would probably happen anyway.